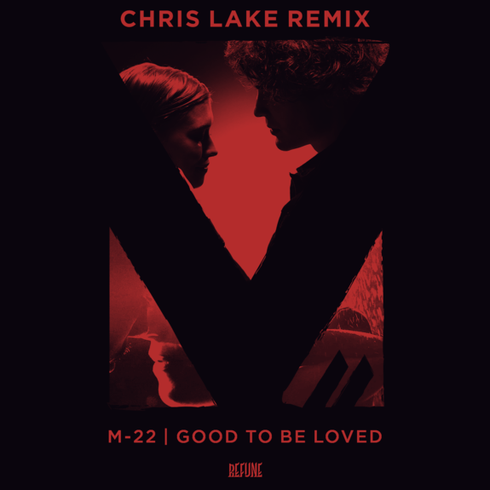 M-22 release a fresh rethink of their ‘Good To Be Loved’ track, courtesy of Scottish DJ/producer, Chris Lake. The remix is out on 29 January via Refune Music but is available to stream now. Holding true to his signature style, Chris transforms its deep house blend into a bass and beat-fuelled groove aimed at the dancefloor. Kicking off with sampled snippets of the original vocals over a minimalistic mix of kicks, claps, and synth melodies, Chris subtly introduces aspects of the original whilst still giving the track a new direction. Featuring punchy hi-hats, a relentless driving kick, and a fidgety bassline, Lake provides a complimenting and contrasting variation of the original. Having apparently reached the top ten charts on numerous occasions and specialising in a variety of different sub-genres, Chris has managed to stamp his particular style on ‘Good To Be Loved’ with enormous effect. With both of M-22’s original tracks selected as BBC Radio 1’s Dance Anthem of the week, and with ‘Good To Be Loved’ awarded the accolade of Pete Tong’s ‘Essential New Tune’, not to mention support coming from the likes of Axwell & Sebastian Ingrosso, the boys seem to be making major waves in the industry.